A new #FabULyssFlashFind for #divamoms-February 6th, 2017 : Divalysscious Moms – Fabulous events for expecting, new moms, and families in NYC! A new #fabulyssfind for #divamoms and #glammas. Just in time for #valentine’sday #spring & #summer! Q: Please tell the #divamoms and #glammas all about the beautiful new #FabULyss Flash Lab..
A: Hey #divamoms and #glammas!! Flash Lab Laser is a relatively new, boutique style med-spa run by NYS licensed estheticians Jennifer Nemeth and Kelly Rheel. We offer a private and personalized experience which focuses on one client at a time to provide maximum results and comfort. Our extensive menu of services includes Laser Hair Removal, Sculpsure, Tattoo Removal, Laser Vein Removal, Pigmentation Correction and Chemical Peels. 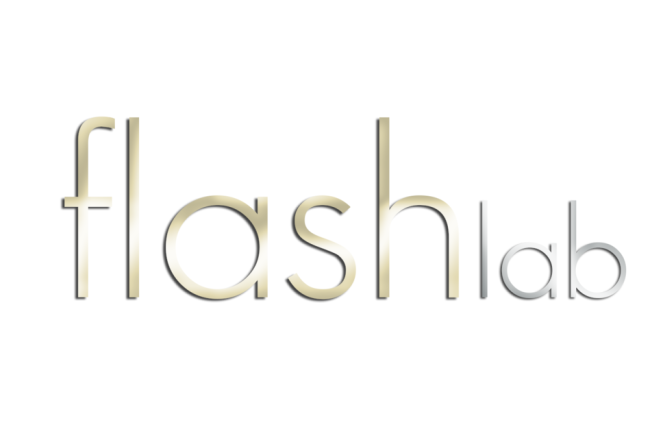 At Flash Lab you can always look forward to a friendly and informative consultation complete with complimentary champagne! A: The Upper East Side seemed like a no-brainer to us. This is quintessential New York. Being surrounded by places like Central Park, Barney’s, and Bloomingdales, we knew we’d be in good company and develop a great clientele. So far it’s worked out great! You can find Flash Lab Laser Suite at 635 Madison Avenue on the 4th floor. A: We’ve got close to twenty years of combined experience so we’ve come across just about every laser system there is. Our personal favorite by far for hair removal is the Candela Gentlemax. It’s safe and effective for all skin types, fast pulsing for quicker sessions and it’s the only laser that has a built in Cryogen cooling system, so you’ll get the most comfortable treatment. Cynosure also makes two fantastic lasers; the SculpSure for fat reduction and the Picosure for tattoo removal which has cut the amount of treatments you need to remove ink by more than half! Q: Who are the best candidates for lasers? How many sessions do you suggest a person does? How long before they usually see results? A: The best candidate for laser hair removal is anyone with dark, coarse hair but the Candela works on a variety of types. Since we all have a number of cycles of hair growth, six sessions are always recommended. The best part however, is you’ll see results right away! Hair usually falls out within two days of your treatment and can take anywhere from 2-6 weeks to grow back. Q: What are the costs of the packages on average? Which do you suggest? A: People typically start with the Brazilian and underarms. A single Brazilian treatment is $425 and a single underarm treatment is $215. However, if you purchase a package of 6 with us, we’ll not only comp your touch ups in between sessions but include up to six complimentary touch ups after you’re finished! It’s a fantastic value given that at most places you end up paying for touch up packages or “minutes” in order to get to your best possible result. Flash Lab wants to make sure you’re 100 percent taken care of, so we just give them to you. A: One of our favorite treatments is pigmentation correction. If you’re someone who loves the sun but hates what it does to your skin, book this service immediately. You’ll get dramatic results in just one session. Freckles and dark spots will disappear in a week. Of everything we offer, pigmentation correction makes the biggest difference in the shortest period of time. Q: Is it best to come in the morning or afternoon? What do you suggest? Should a mom work out before coming in for a treatment? A: Anytime that is convenient for you is a good time to come! There is no downtime with most of our treatments so if you visit us in the morning, you’re free to go to work afterwards. As far as the gym, we recommend working out either beforehand or 24 hours following your treatment. Q: The center is beautiful and clean… please tell our readers why this is so important to you and your business…. A: We want our clients to know they’re getting the best experience possible and having a clean, warm and welcoming environment is essential to that. Providing quality treatments includes so much more than what happens in the actual session. We want everyone who visits us to feel cared for from the second they walk in to the minute they leave and a big way to communicate that is the effort you put into your studio space. Q: What’s the best way to book an appointment? Phone, Email, and what’s the best number and email? A: you can book directly through our website at www.flashlablaser.com, email us at info@flashlablaser.com or call us at 646-998-5277. Whatever is easiest for you. Q: Please tell the #divamoms and #glammas about the special #divadiscount and #divadeal just for them…. A: #Divamoms and #glammas can look forward to a 20%#divadiscount on all of our services including a free treatment on any small area to test us out! These small areas include underarms, bikini line, stomach line, sideburns, upper lip, and chin! We look forward to our #divamoms and #glammas making us part of their beauty regime!